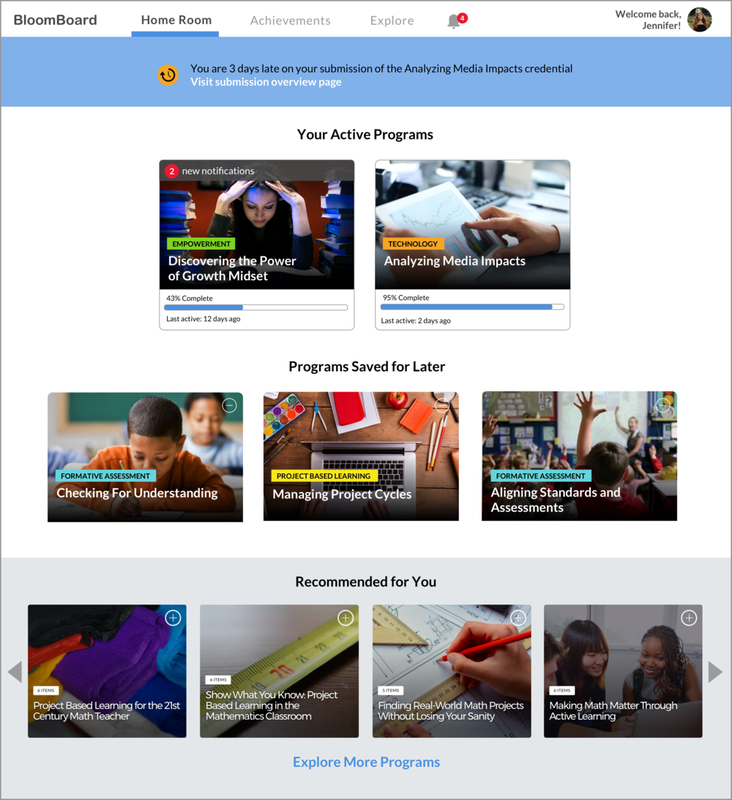 BloomBoard, a Learning Management System focused on facilitating the continual professional development needs of Teachers and District Leads. had been on the market for a couple years and like most products was built at speed in order to meet the immediate needs of stakeholders and users alike which resulted in expected unwanted friction points and trouble spots (affectionately known as UX debt). After I joined, it seemed like a great opportunity to step back and look at the whole product to see how we could optimize and offer a more cohesive experience for the user. I first met with the necessary internal stakeholders (such as Product Managers , Customer Success Team and our Educational Leadership Team) as well as a sample group of 7 present users to better understand and document issues and opportunities. To meet with present users, I built up a database of users, set up the interviews, wrote the script, and conducted these via recorded 1-on-1, 45-minute interview sessions. The users were finding this 2 year old tool difficult to navigate and understand (grok). We used the learnings from this study to inform and direct our design strategy (in conjunction with other considerations like first-time user experience, etc.). The design team then brainstormed and presented, together as well as individually, possible solutions (the designs displayed below are one of a few of my personal design contributions). After an HTML prototype was created, I then conducted consecutive usability tests with users and non-users alike (educators and Professional Development experts) to validate and fine-tune the design. Once we felt we were close enough, the design was passed on to production for development. 3. Test and Iterate. Repeat as necessary. After an HTML prototype was created, I then conducted consecutive usability tests (think-aloud protocol and task-based) with users and non-users alike (educators and Professional Development experts) to validate and fine-tune the design. Once we felt we were close enough, the design was passed on to production for development. 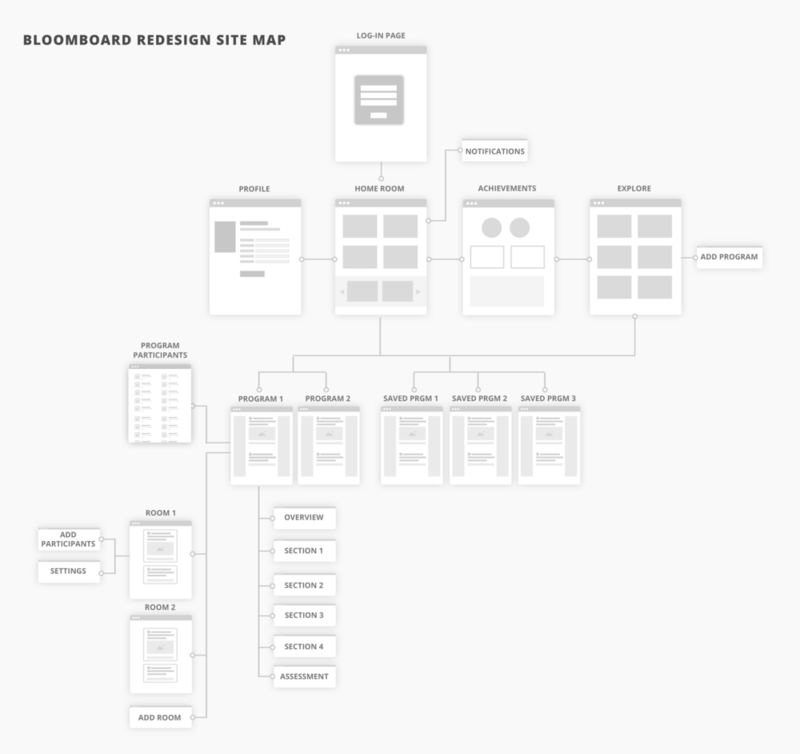 Tests were focused on navigation understanding/efficiency and first-time user experience. Usability testing results presented to the team. Includes discoveries as well as action items.